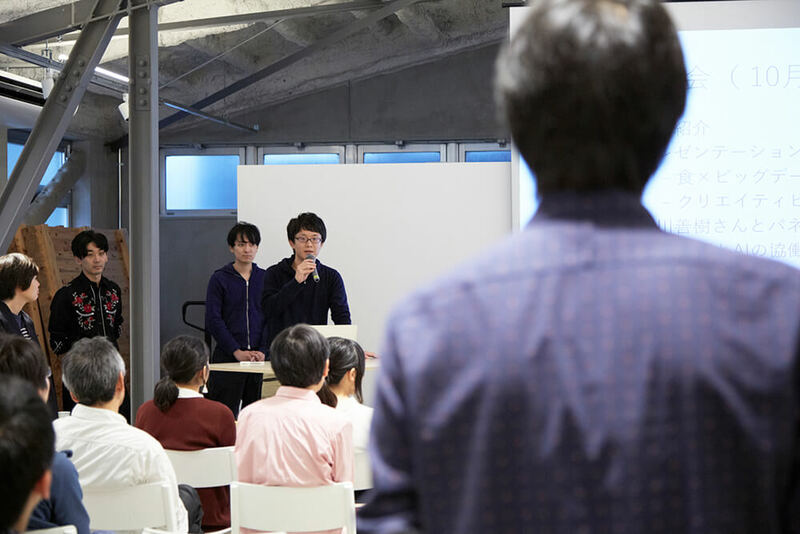 To celebrate their 100th anniversary in 2018, the Panasonic Corporation launched the 100BANCH project, based in Shibuya, to work together with the next generation to create value for the next 100 years. 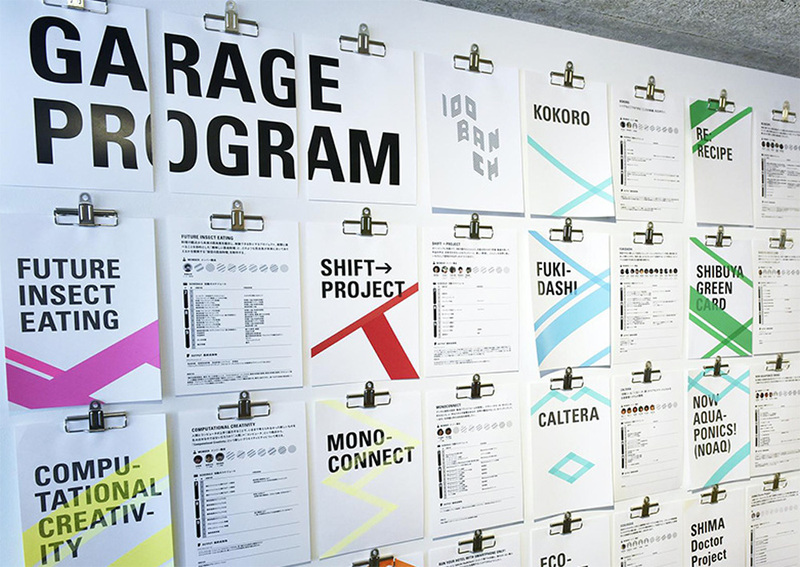 The main program of the 100BANCH project is the GARAGE Program program, led by ambitious youth under the age of 35. The initial project started in July and consisted of 13 teams. 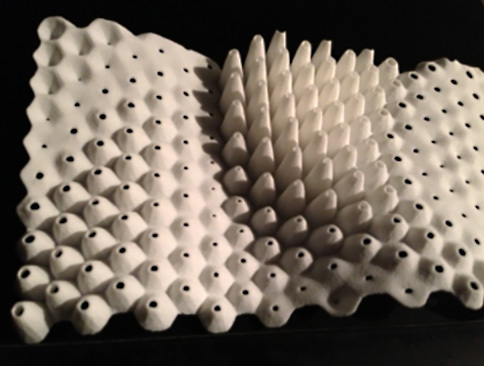 Since then we have publicized the program and there are now 31 projects that have been accepted by our examiners. Each project has a cycle of three months, so the first cycle completed on October 1st. The participants announced the results of their repeated trials and results three months after the launch of 100BANCH. What happened on-site, and what manner of chemical reactions occurred? Haruka Koshimoto reflected upon the trajectory to this point, including the plans and management of each program. How for can we get in three months. No preconceived goals. Operators of each project in the GARAGE Program did not start any specific goals. Setting goals would just limit the results to the achievement of that goal, and we wanted to aim higher. With that in mind, each individual decides where to aim for. We decided upon this rule. Of course it wouldn’t do to go three months without any results whatsoever, so upon entry every person creates an action plan and works together with a mentor to create goals as part of the process. The Computational Creativity project researched methods for developing recipes using a computer. Computational Creativity Mr. Vershney collaborated with famous chefs Keisuke Matsushima and Chef Watson to create an academic paper to be submitted to Frontiers in ICT, section Big Data. The Caltera project worked to develop a smartphone application that could distinguish whether or not someone was in a room Caltera. After three months of programming and device testing, it was entered in the U22 programming contest. 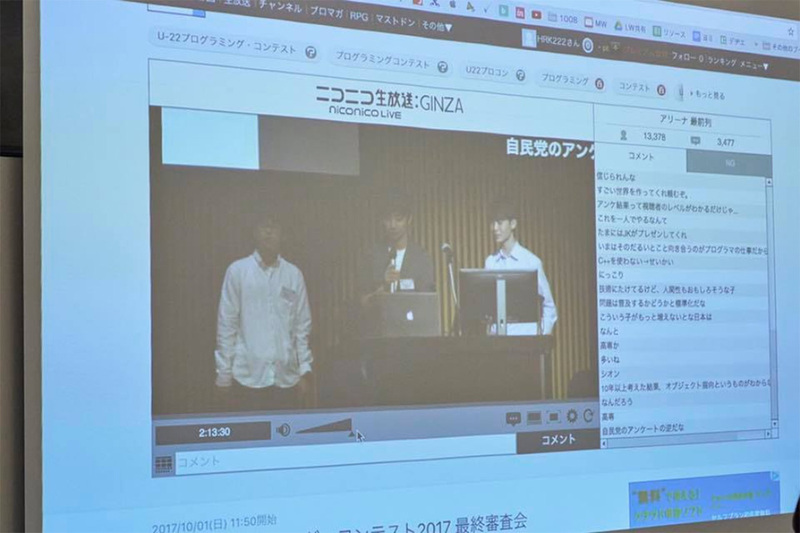 It was given a public viewing on October 1st. If one were to visit the GARAGE on any given evening one would find a large number of energy drinks lined up on the racks next to the programmers. The leader of the Run your hotel with Smartphone only! 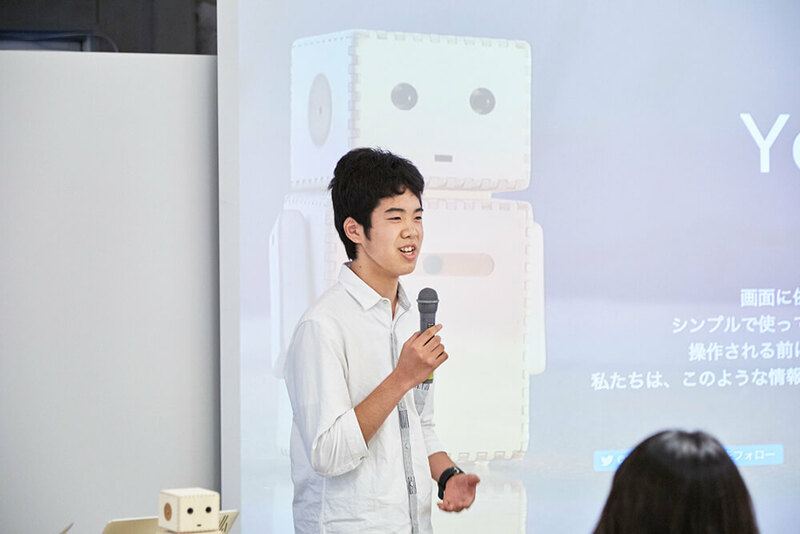 project, designed to automate hospitality,”HACO” robot project, designed to normalize the presence of robots in every household, is a high school student.The projects are being run with such enthusiasm and presentation skills that it’s difficult to believe that the leader is a teenager. The Run your hotel with Smartphone only! project is designed to provide self check-in services at private inns. It launched after only three months and has already received orders from 300 businesses. The GARAGE Program proceeded under external pressure, as they would be tested to see how far they could go using the 100BANCH project in a short three-month period. With some projects, once a mentor was selected and activities began, the nature of the project changed over time. 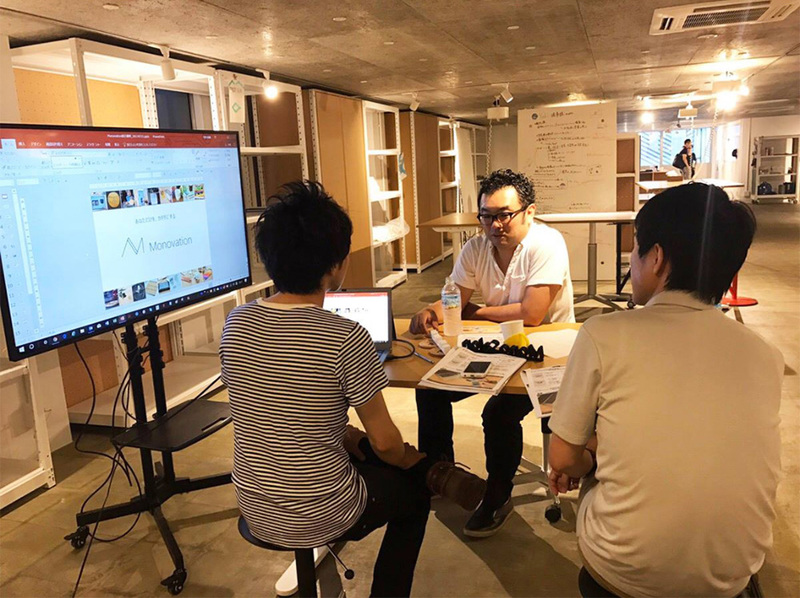 The mentor for the Monoconnect project was Mr. Shinichi Takamiya. 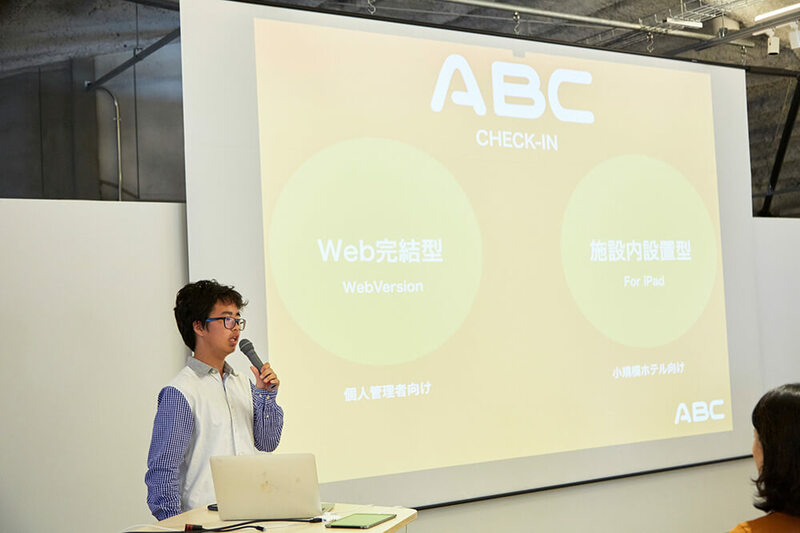 After determining that there was a lack of demand for the initial idea, the project trajectory was modified and product launch was achieved after just three months. 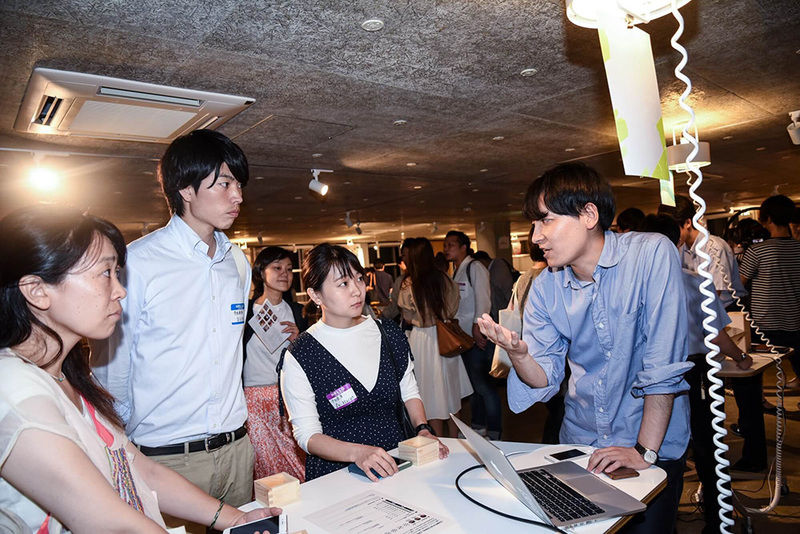 The Shift→ loincloth project was mentored by Mr. Yoichi Ochiai, who lent his various talents and amazing communication skills to the project once every two weeks, forming a mentoring relationship under which students felt comfortable asking for personal advice. 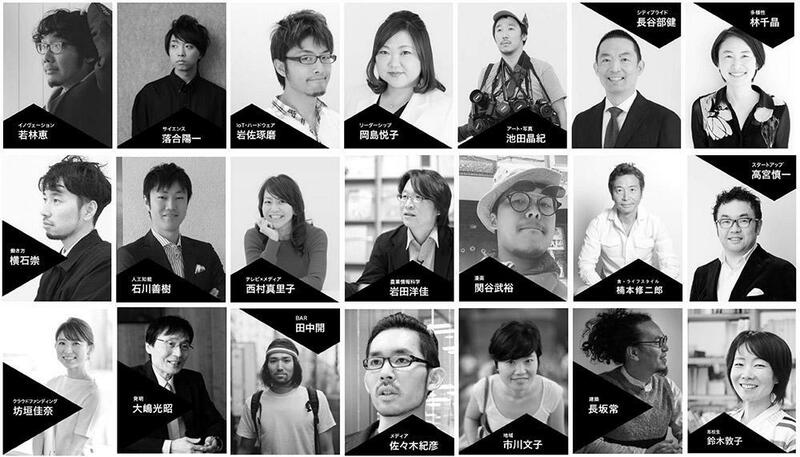 As a result of the mentoring the project changed course and was renamed the FFF～Fundoshi Fashion Festival. 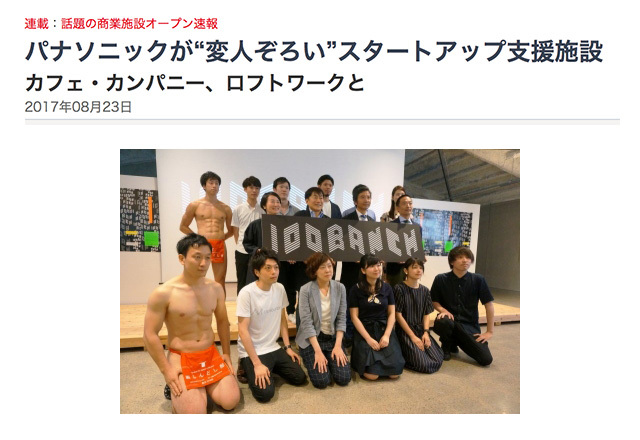 In a 2-month period they planned the world’s first Loincloth Fashion Festival,「Fundoshi Fashion Show」which will be held on October 29th. 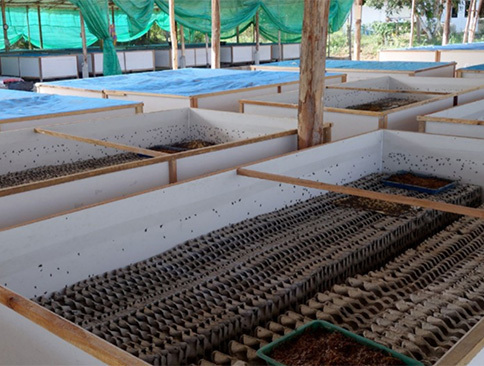 The GARAGE Program includes a surprisingly wide variety of topics, including loincloths, translation devices, insect breeding, resort services, work styles, technology, culture, and lifestyle. 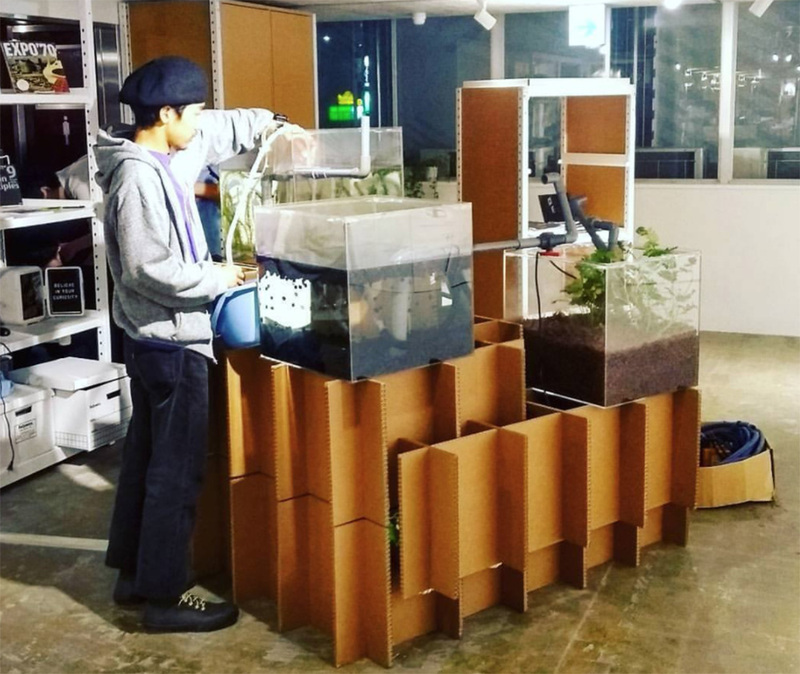 The only teams that resembled one another were projects that dealt with food themes, such as solving future food issues and future food styles. These three food-related projects include two that were added after the initial program launch, and they held an event regarding food issues. 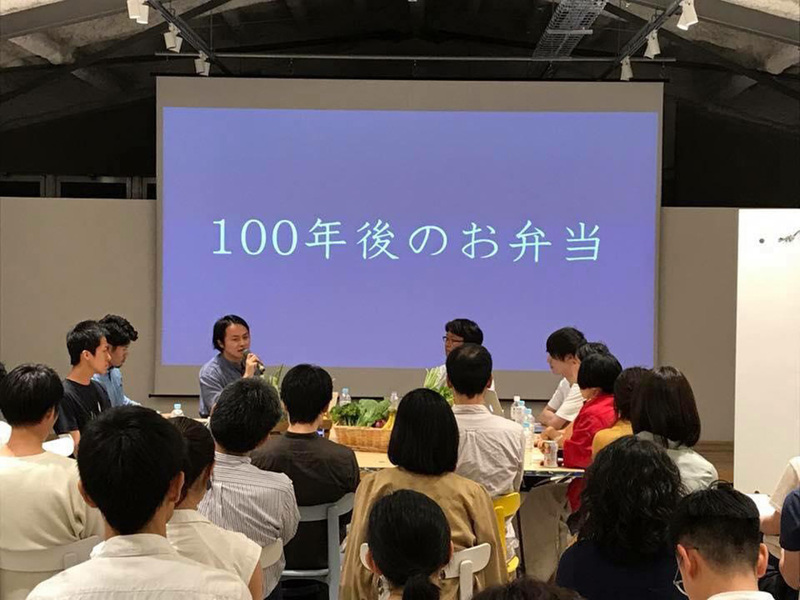 With Mr. Hiroyoshi Iwata as mentor, the talk concerning lunch boxes 100 years from now became a popular topic of discussion on social media, and a follow-up event is being planned. Mr. Iwata claims that he is receiving a great deal of inspiration from the project members, and a number of collaborative projects are in the works, including networking with students overseas. 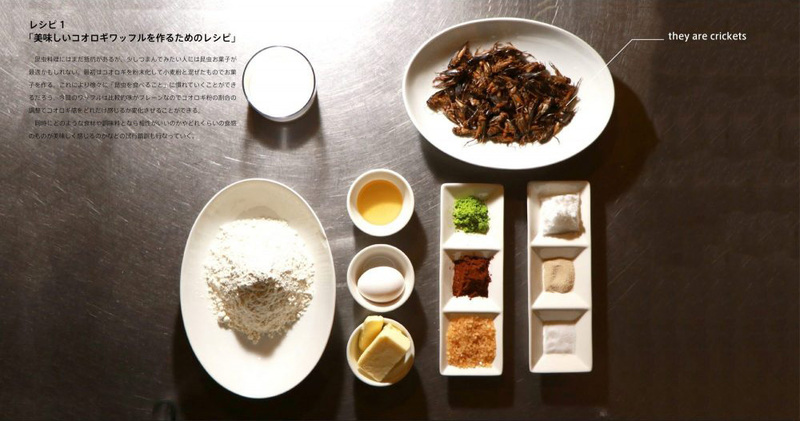 The Future Insect Eating project formed collaborations with chefs at catering companies for their monthly meetings. 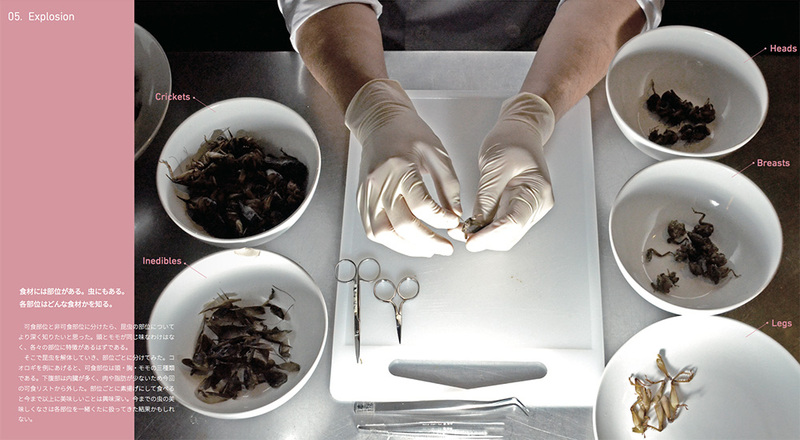 The participation of chefs does a great deal to influence flavor. This connection led to events, which led to an increase in supporters, resulting in multiple chemical reactions. Ideas that would have been laughed at 100 years ago are now being looked at seriously. Perhaps in 100 years loincloths and insect-eating will be considered the norm. I feel this on a daily basis about the GARAGE Program. In planning the GARAGE Program, we first had to find mentors. In many cases we needed to find accomplished members of the technology industry to mentor for technological projects, but in the case of the “Next 100 Years” theme of the 100BANCH program many of the projects were begun without a clear sense of which direction they would go in. With such a beginning we needed mentors to help out between the initial project proposal judging and selection of the appropriate mentor, so in addition to individuals with strong skills in the startup, IoT, and hardware fields, we also selected a wide range of people who were good at diverse subject that included art, photography, agriculture, work styles, and even bar management, resulting in a team of 21 mentors. One of the challenges of this program was the selection of projects. In many cases the supporting mentors would consult and make decisions, but as an experiment we did not use this method. A rule for evaluation was that the unique mentors must consider the ideas interesting from a personal perspective. As a result a number of unique projects were selected, each of which may not have been selected if the mentor had been solely responsible for the decision. The adopted projects ranged from insect eating to loincloth wearing, and the variety of themes and the assembly of participants from a variety of disciplines prompted many in the media to write articles about the strange (in a good way) things happening in the program. In forming the GARAGE Program we showed our respect for the process by making it as free and open as possible. However, freedom does not necessarily mean a lack of rules. In hopes of creating an environment in which all things are possible, and to assist in maximizing the potential of each participant to promote chemical reactions, we developed three principles for the 100BANCH program. If we concern ourselves with norms then we won’t be able to create anything that will make an impact on society over the next 100 years.We need to doubt common sense, trust in individual intuition, and allow that which is rough to take shape. For business, services, meetings, and 100BANCH, we should all work together to make the rules. A variety of people have gathered to participate in 100BANCH. The people who have gathered here are different. Communicating with people who have different values can sometimes cause stress. At times like this, take a step forward to attempt to understand the person with whom you are speaking. When you understand their reasoning, you will gain new insights. Express visions and share wisdom. Such openness will expand networks and bring out the knowledge and wisdom to design new value. We must not fear failure! We must fearlessly express ourselves and pursue our visions! In reality, these concepts are similar to the concepts in use at Loftwork, Inc. The word “diversity” is thrown around a lot these days, but it really isn’t a simple matter to get so many diverse people to work as a team. This is because with diversity comes a variety of mindsets, and when people feel different ways they tend to reject others. Communication is born in overcoming these gaps and accepting the differences in others. Looking back on our activities to this point, I recall the words of Chiyaki Hayashi in the introductory video during the opening of 100BANCH. “The manner in which people will live 100 years from now will not be decided by technology alone. Changes will take place in many areas. 100BANCH OPENING MOVIE from on Vimeo. It may be that those of us who have participated in the GARAGE Program have undergone a chemical reaction and will never return to our former selves. Those who wish to get swept up in this chemical reaction are encouraged to visit us at 100BANCH. We also look forward to your continued support of the GARAGE Program. After graduating from college, Haruka Koshimoto joined an advertising agency for novelty items, and was in charge of business planning. She changed careers when the formless world on the web called her away from real world manufacturing. She plans advertisements for an online advertising agency, focusing on EC sites. She joined Loftwork Inc. in 2012. As Creative Director, she handles creating websites for businesses, as well as event management for Tsutagura.